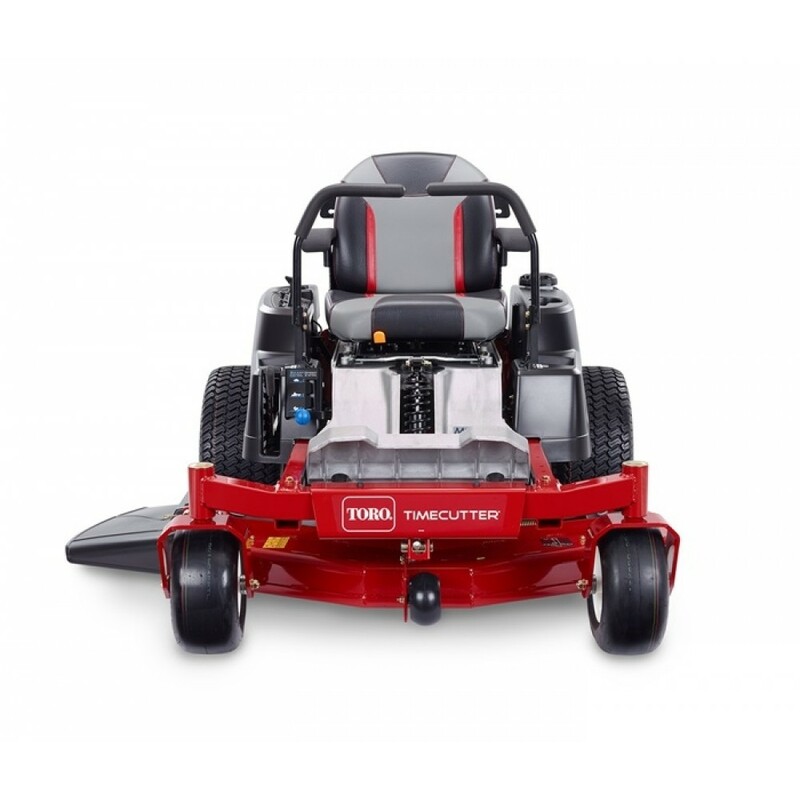 24.5 hp Toro Commercial V-Twin Engine- Toro Commercial V-Twin engines were specifically created to deliver optimal performance in our mowers by matching the torque curve of the engines to the needs of the toro decks they power. 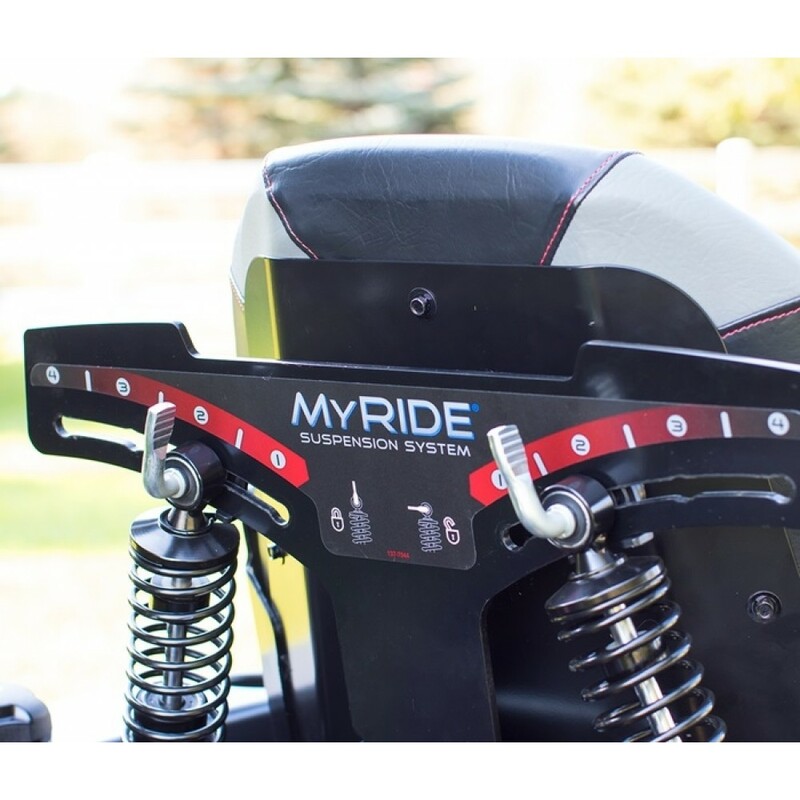 Adjust Your Comfort - The MyRide suspension system allows each user to easily adjust the ride setting to their personal preference. Fabricated Deck- Welded together from plates of 10-gauge steel and a bull-nose bumper leading the way, this deck can handle tough conditions. 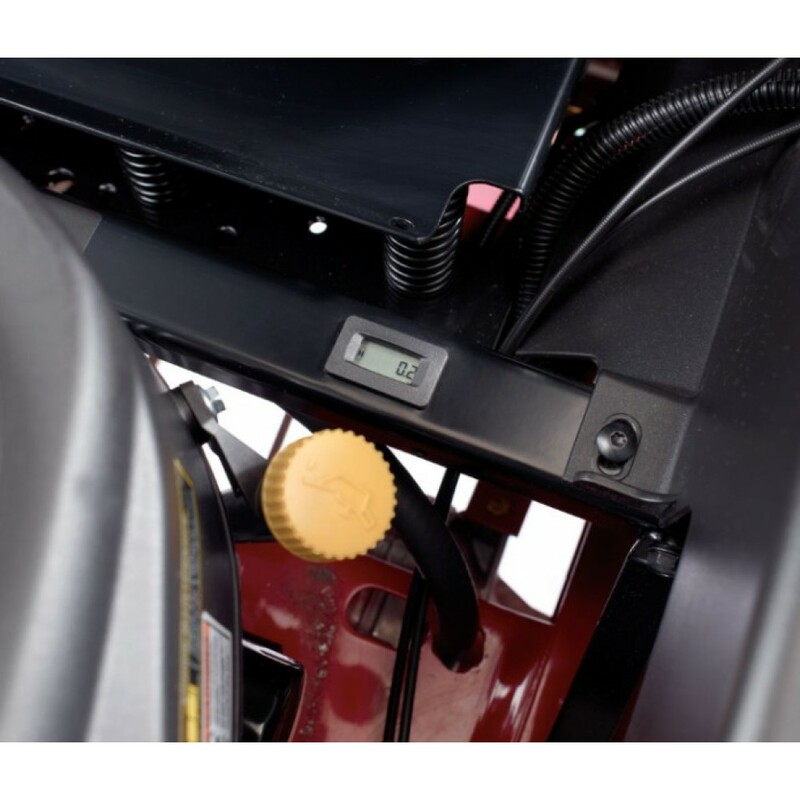 The lower the gauge the thicker the steel. 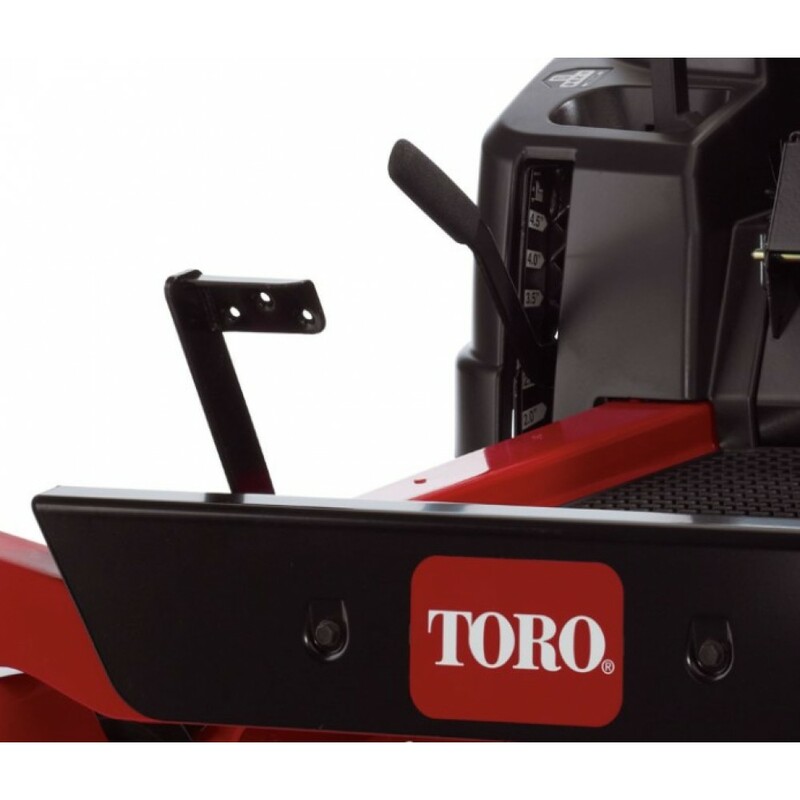 Heavy-Duty Transmission- Larger hydrostatic transmissions vs. the SS Series ensure you have the right amount of power to move these tough mowers around the yard and get the job done fast. 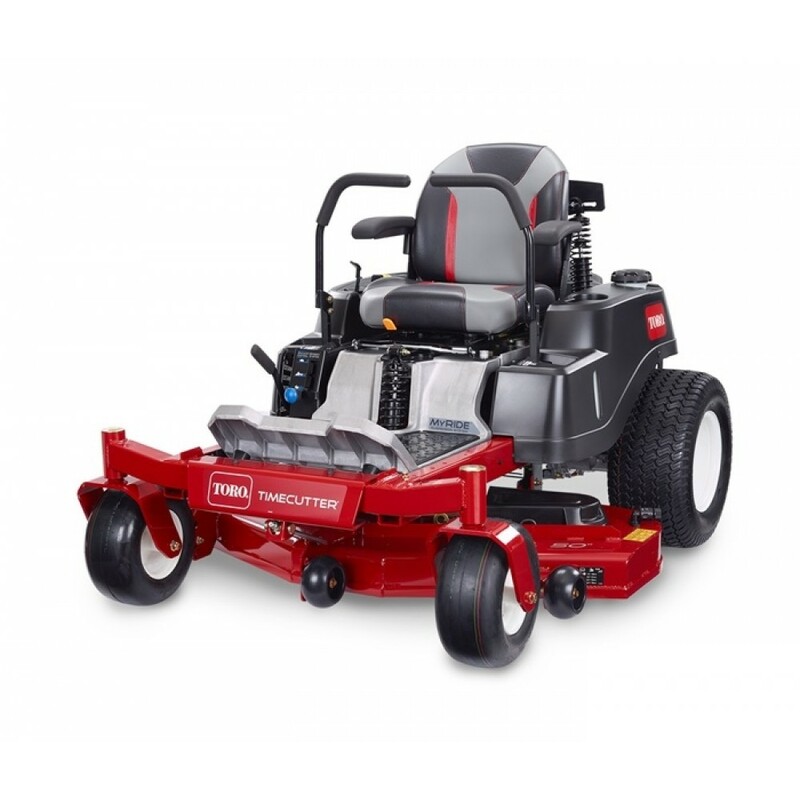 20" (50.8 cm) Rear Tires-The large, 20" (50.8 cm) diameter 4-ply rear tires deliver better traction without tearing up the turf and a smoother ride in uneven terrain. 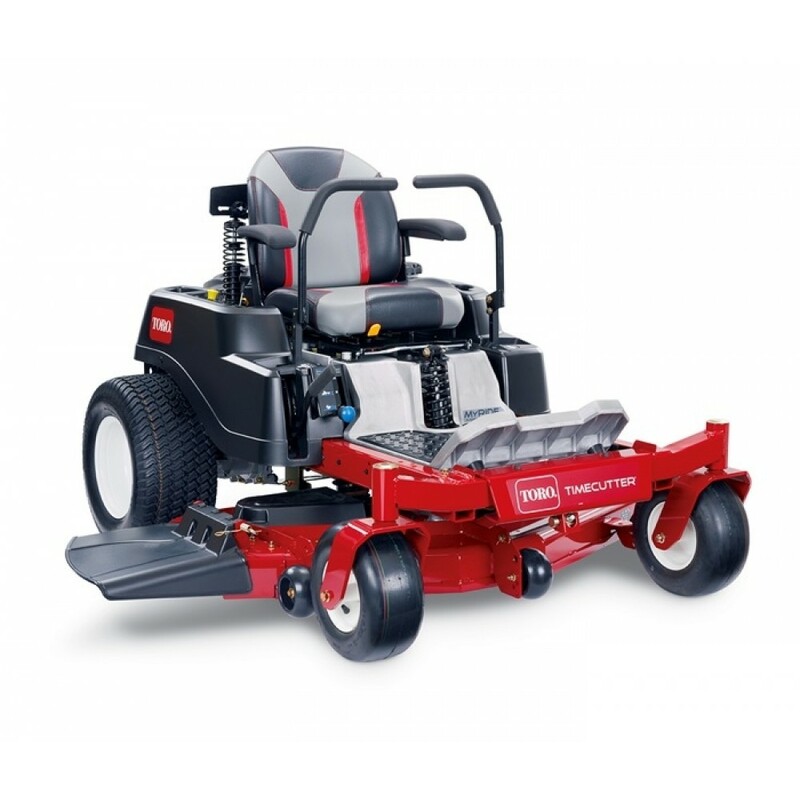 Hour Meter- Hour meter helps you maintain your machine at the proper service intervals for maximum product life.